Insaan Culture Club is back by popular demand with another amazing workshop and live performance by cultural writer and speaker Ally Adnan and the masters of qawwali Ghayoor-Moiz-Mustafa Qawwal. Join us on 9 Feb 2019 to immerse yourself in the soul-stirring music of the Sufis. Hosted in an iconic church in London, this is qawwali like you have never experienced it before! Drinks and snacks will be available on the evening, so please remember to bring cash. An enthusiastic and indefatigable patron of the arts, Ally Adnan is a well-known writer and speaker on topics of culture, history and the arts. His writings on classical music form a valuable treatise on the theory, culture and practice of music in India and Pakistan. Ally speaks on culture and the arts on the radio, television, schools and research symposia all over the world on a regular basis. Ally's areas of expertise are Qawwali and Sufism. He has conducted extensive and is considered a subject matter expert in the field. He also writes and speaks about Hindustani Sangeet, Kathak, Urdu Poetry and Literature, Art and Painting, Jewellery, South Asian Musical Instruments, Tea and numerous other related topics. 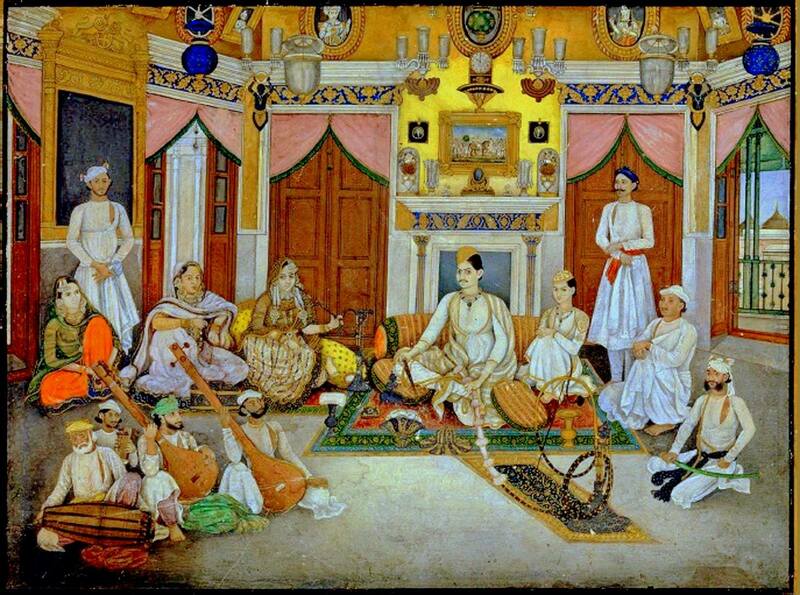 The form of qawwali practiced today was invented by Hazrat Amir Khusrau in the 13th century. A poet, scholar, philosopher, politician and musician, Khusrau defined, documented and established the Khusravi tradition of qawwali and trained 12 young men - the Qawwal Bachay - in the theory and practice of Khusravi qawwali. Mian Saamat bin Ibrahim was the leader of the first group of qawwals. The tradition established by Khusrau has been preserved for more than eight centuries by the scions of the Qawwal Bachay and is followed by qawwals all over the world today. Ghayoor-Moiz-Mustafa Qawwal are direct descendants of Mian Saamat bin Ibrahim and represent the 27th generation of the original 13th century qawwals. Masters of music, poetry and rhythm, heirs to the institution of Khusrau's music, expert musicians, and the torchbearers of the Khusravi tradition of qawwali, the brothers are considered to be among the foremost young qawwals in the world today. They are known for the authenticity of their musical tradition, a huge repertoire of ancient qawwali, and an extensive knowledge of raag (musical modes) and teal (rhythm). The qawwali that they perform is the same as the one that was practiced more than 800 years ago.